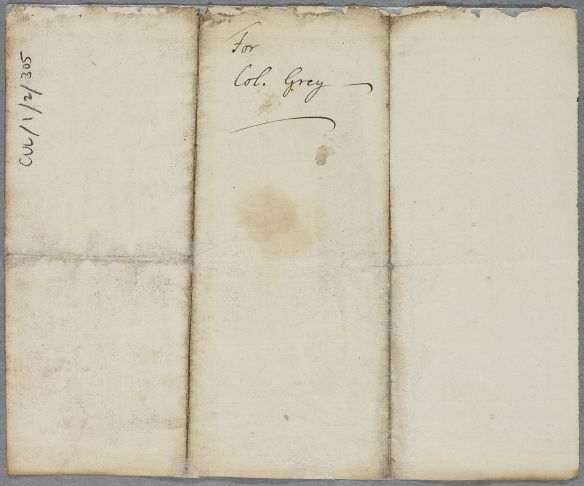 Reply, in the form of a summary of directions and prescriptions in a mixture of Latin and English, for Colonel Charles (later Earl) Grey [Gray]. Almost certainly sent to Joseph Foster in Alnwick. A note adds that the medicine prescribed was found to disagree with the patient, which Cullen found very surprising. Summary Reply, in the form of a summary of directions and prescriptions in a mixture of Latin and English, for Colonel Charles (later Earl) Grey [Gray]. Almost certainly sent to Joseph Foster in Alnwick. A note adds that the medicine prescribed was found to disagree with the patient, which Cullen found very surprising. 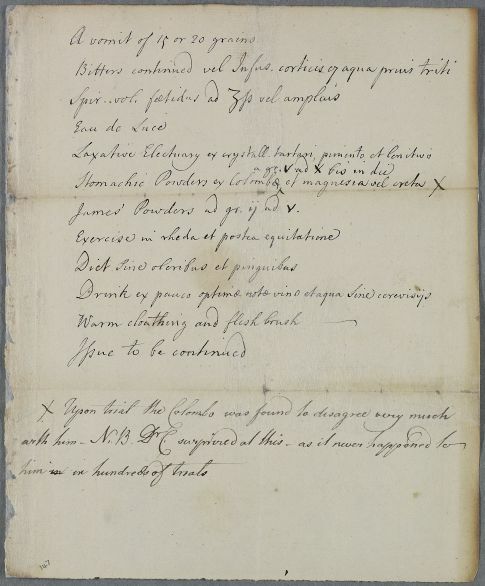 Case of Colonel Charles (later Earl) Grey, who is prescribed various medicines not all of which agree with him. James' Powders @ gr. ii @ v.